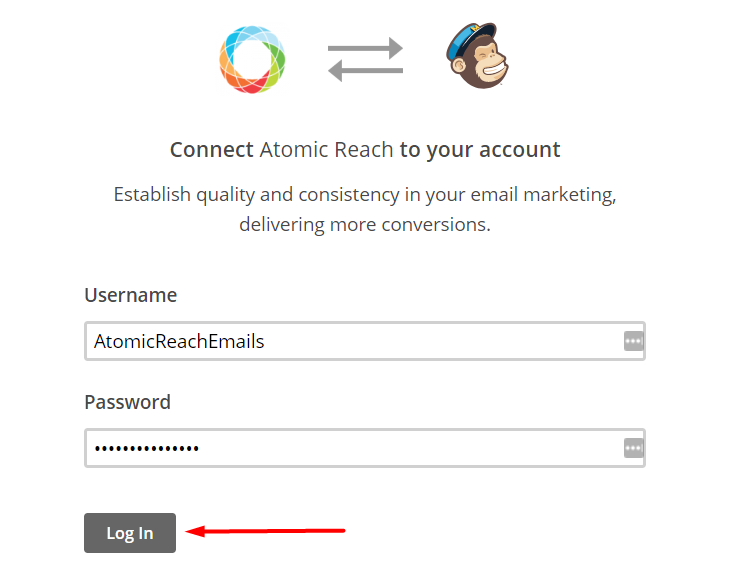 By connecting your MailChimp data to Atomic Reach you are able to import drafts directly from MailChimp for editing and optimizing, as well view unique email metrics and recommendations. 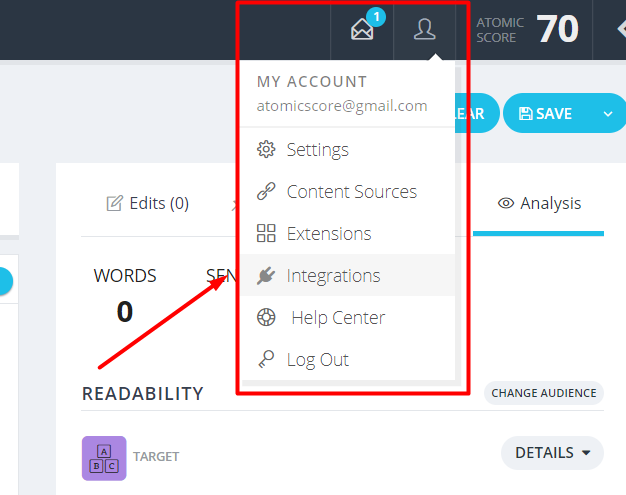 Step 1: Log into Atomic Reach here and navigate to the Integration Menu by clicking on the person icon in the upper right hand corner. Step 2: Click the "Connect" button on the MailChimp option. Please note that it may take some time to import your data, depending on the amount of emails in your MailChimp account. You can navigate directly to the Email Analytics dashboard, or come back and access it later here.